MUD SPECIFIC GEARING AND STRONGER REVERSE CHAIN: Reduced gearing and a larger reverse chain on the RANGER XP® 1000 High Lifter Edition allows us to optimize power & torque needed for crawling through the mud and put it exactly where you need it most. 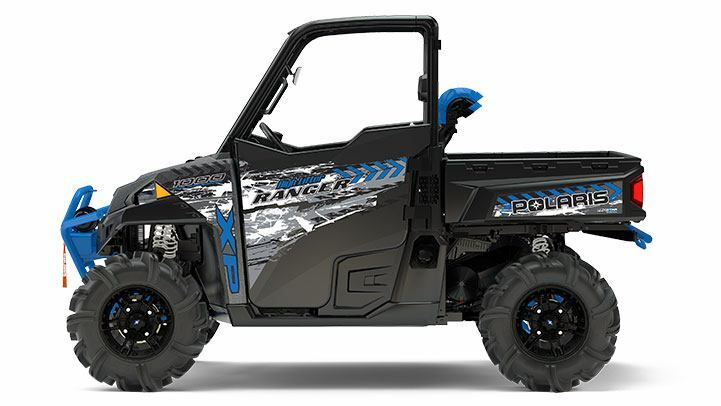 MUD-TESTED VEHICLE DESIGN: We designed the RANGER XP® 1000 for the mud with sealed switches, fuse box, and battery to ensure optimal protection for vital components. HIGH MOUNTED AIR INTAKE AND VENT LINES: A high mounted system for engine intake, clutch intake, and exhaust keep the water out and the fresh air coming in while all the vent lines are integrated into the cab frame to keep them free of debris. PRO-LOCK™ ON-DEMAND ALL-WHEEL DRIVE: Pro-Lock is our fastest engaging AWD system ever! 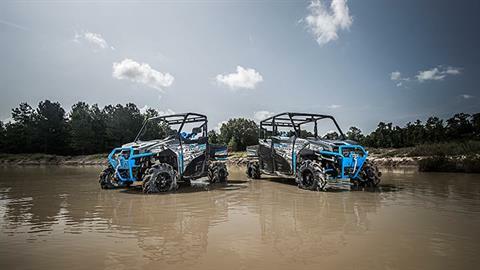 All four wheels engage near instantly when your vehicle needs more forward traction and reverts back to 2WD when it doesn’t, no need to wait for pressure to build up or to stop and lock in a diff like our competitors. 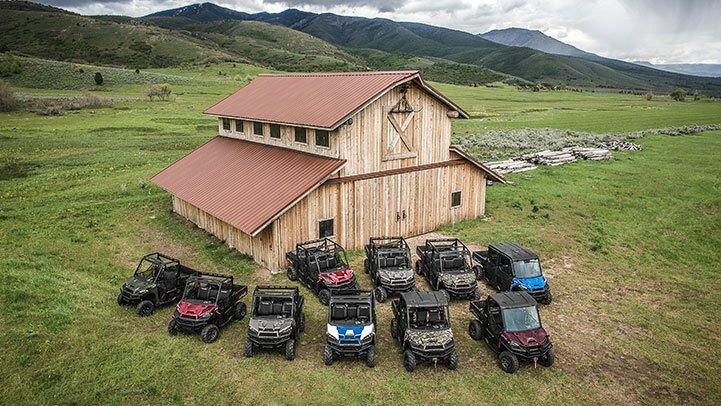 AGGRESSIVE 28" HIGH LIFTER OUTLAW 2 TIRES: The High Lifter team has over 10 years of mudding experience, and we leaned on their experience when we fitted the Outlaw 2 tires. The 28" Outlaw 2 features a full tread wrap to the rim to increase traction in ruts and has a flatter profile for a smoother ride. READY TO MUD STRAIGHT FROM THE FACTORY: Custom front and rear bumper with an included 4,500 lb. 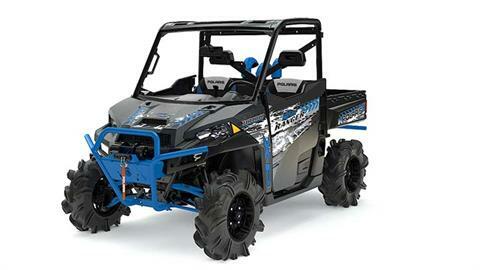 Polaris HD winch help to protect your ride on the way in and make sure you can get out. 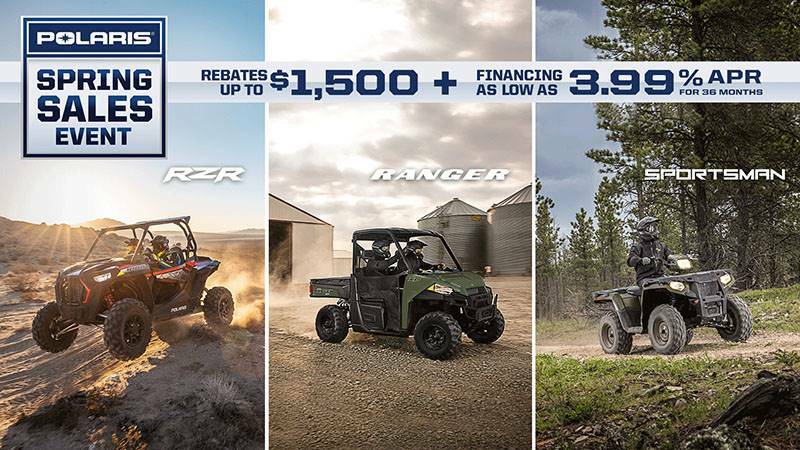 With all RANGER XP® 1000 models you get superior accessory integration, quality and fit and finish with the industry-exclusive Lock & Ride® Pro-Fit cab system so you can customize your ride. 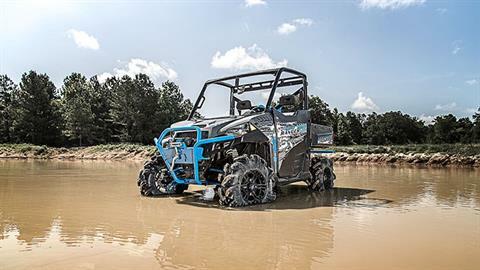 CLASS-LEADING GROUND CLEARANCE: To navigate deep ruts, rocks, and mud holes it takes more ground clearance, RANGER XP 1000 gives you a full 13" of ground clearance so you can go farther and get deeper.